Order online this Mesmerizing Around the World Holiday Fruit Gift Hamper and surprise your near and dear ones. 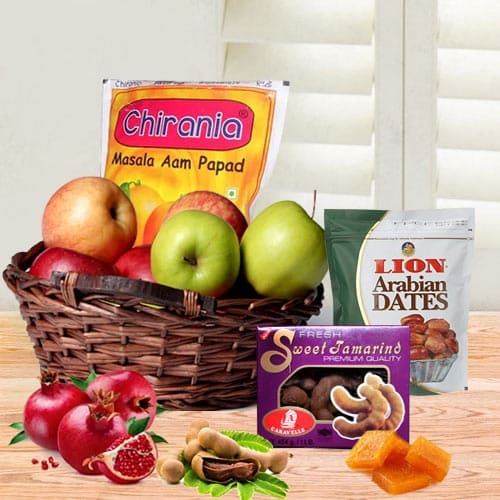 A fine Gift for a fine Occasion, as this Gift Basket is brimming with Aam Papad Chocolate 20 Pcs., Dates 1 kg., Sweet Tamarind, Green Apple 1/2 kg., Red Apple 1/2 kg., Pears 1/2 kg. and Pomegranate 1 kg.